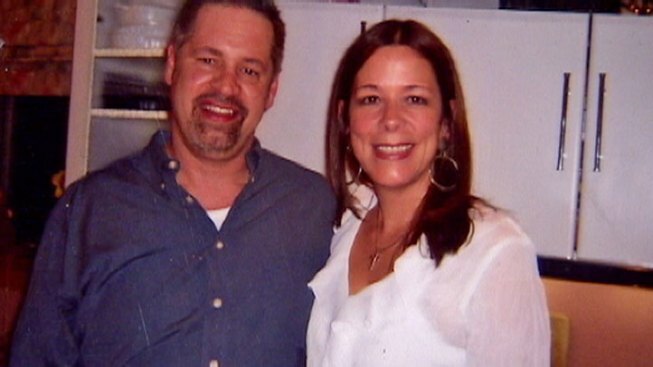 The family of a West Suburban woman who died while on vacation with her husband seven years ago say federal authorities missed a major clue during the initial investigation and want the case reopened. At issue is a 26-second phone call placed the morning Catherine Trage died. "It’s long enough to ask for help or leave a voicemail," said author Bill Dwyer. Trage, of River Forest, was on the surprise February, 2008 trip to Mexico with her husband, John Trage, when she died. The family has long said the couple was having marital problems at the time but said the relationship seemed to be on the repair. But answers to questions family members had about the 44-year-old's death were hard to come by, they said, when her spouse returned home to Chicago early without her. "My question for John always was and will be: What happened? How did my sister die?” said Catherine Trage's brother, David O’Connor. The initial story from John Trage, O'Connor said, was that the mother-of-four died peacefully in bed. But that story changed when the family pressed him about a Mexican newspaper article indicating she'd drowned in their hotel room. The report said hotel workers told authorities they heard screaming coming from the room in the middle of the night and that John Trage was found in tears while performing CPR. "He said he woke up at 4:30 a.m. to go to the bathroom, discovered her dead, and tried CPR and called for help. That was his second story," O'Connor explained. A Mexican autopsy performed on Trage's body was vague and cited cardio respiratory arrest, but O’Connor said his sister had no history of health problems. Her body was cremated in Chicago before her family could get a second opinion. That's when the O’Connor’s called the FBI. The feds investigated the case but did not file charges. While researching a book for the family, Dwyer uncovered records showing the early morning phone call made from the Mexican hotel room just a couple of hours before Trage's body was discovered. "I know two things. A phone call was made from that room and it was a local number. That's all I know. Everything else is speculation," Dwyer told NBC Chicago. Only part of the local cell phone number was visible so Dwyer wasn't able to trace it. According to Mexican authorities, Trage said he went to bed around 2 a.m. while his wife took a bath. The call was made at 2:11 a.m. If John Trage was asleep and his wife was in the bathtub, who made the call, and to whom? O’Connor has asked federal authorities to find out. The FBI declined to comment. At last report, John Trage was living in Hawaii and sent this message to the O’Connor family in 2010: "Not even the FBI investigation your family instigated revealed any indication of foul play." O'Connor called the message an "Interesting choice of words." "Not once has John Trage said I didn’t do it," he said. NBC 5 Investigates sent an email to John Trage seeking comment. He didn’t respond to questions but did say, "That’s not easy to discuss. Especially if you are doing a story from that perspective."